The construction of 10,800sq/ft. 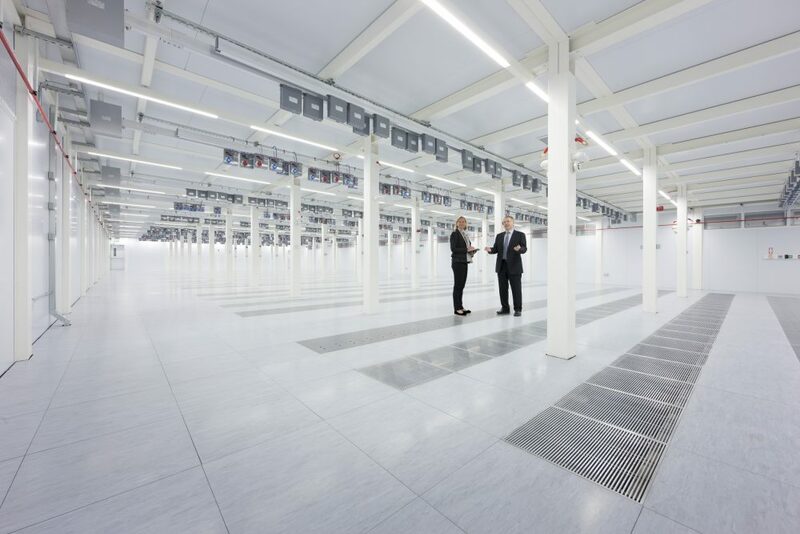 of modular Data Hall, the first of it’s kind for Colt Telecommunications, which was installed within a existing very large warehouse, with only the first floor being fitted out, tested and commissioned at this initial stage. 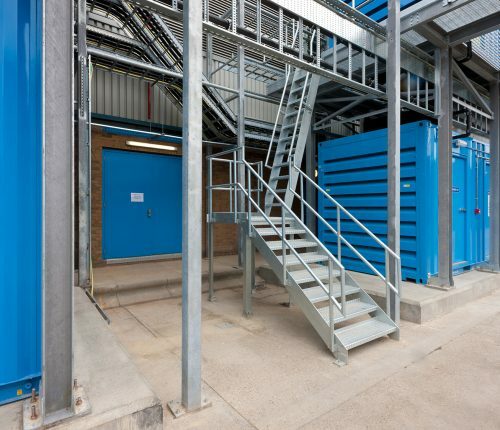 The majority of the construction work was carried out in our modular unit manufacturing premises in the North East, with a large percentage of the halls and services elements being constructed off-site, this concept reduced the amount of time and resources actually deployed on the Welwyn site. The modular data halls required specialist transportation and detailed logistics to ensure a smooth delivery. The package included 12no CTF75 modular DFU’s, 24no 80kVa UPS’S for IT load and 12no 10kVa UPS’S for mechanical load, 2no 2MVA, 11kV packaged switchboards and 4no 850kVa Cummins synchronised sets. All plant and equipment was tested off-site to ensure it was fully operational. The on-site construction works consisted of the building of generator and fuel tank bases, structural services supports, fresh air intake louvres, roof cowls, HV & LV cabling, fire systems including IG55 gas suppression system, BMS, integration of systems into the in-house systems, security installations, Site Acceptance Testing (SAT’s) and Integrated Systems Testing (IST’s). 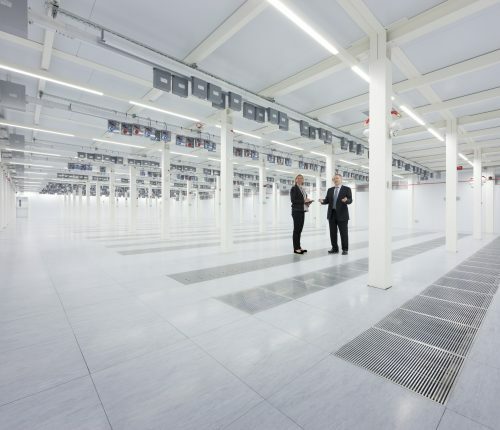 The project was located within an existing warehouse in Welwyn Garden City, the site already had an operational data centre within it, so close co-ordination was required throughout and security procedures had to be adhered to at all times. Connection of the new services to the existing supplies had to be controlled through a change control procedure with the existing customer being briefed at all times. During the construction phase partial possession due to time constraints was successfully given to the end user, to allow them to carry their fit-out works including the fitting of racks and structured cabling. The timely delivery of all the components was critical as there were a number of dependencies, each heavily relying on the other.The entire project was delivered on time and within budget to the delight of both the client and end user.